You are here: Home / Uncategorized / Lego! Oh and some productive work type things too. It’s been really busy here in Cumbernauld the past couple of months, and as far as I’m concerned busy is brilliant! I’m pleased to say that I’m continuing my efforts to get outside as much as possible – aided and abetted by the rest of the trainees wherever possible. I helped out Emma and David on kids outdoor play days in Glasgow and Edinburgh. It was brilliant to see these guys work and hopefully some of their skills and enthusiasm will rub off on me! I learned a lot from these experiences, but I think one of the main lessons that I’ll take away is that baked chocolate bananas are possibly the most vile invention in human culinary history. .
Amy Styles was good enough to let me tag along to a couple of her Autism family play days in Cumbernauld and it was such a rewarding experience – albeit in some pretty atrocious weather at times! It was wonderful to see just how creative Amy and the guys from Sense Scotland were at coming up with play ideas that could really engage the kids and their families with the outdoors. The chance to get out and play in the outdoors with natural materials is so important for children, especially now – showing my age, but when I was wee kids were expected to spend all their free time outdoors. Of course the world was also in black and white then and dinosaurs still roamed the Earth so things weren’t perfect, but at least we were out in the sunshine rain when we were being chased by pterodactyls. On the school/kids front I’ve also been out helping to deliver sessions on Pine Martens to local primary school kids, play sessions for the Wildlife Watch group and employability and confidence building sessions to students at another high school. These sessions – especially the ones with primary kids – are fun but completely exhausting! 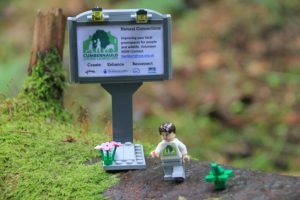 Though they do often involve lego these days so there is some compensation… we had great fun with a drop in lego photography day down in the Glen! The lego day was actually a massive hit, parents loved seeing their kids playing with their toys outdoors for a change – and more than one ‘grown up’ was rooting through the lego box and taking photos! 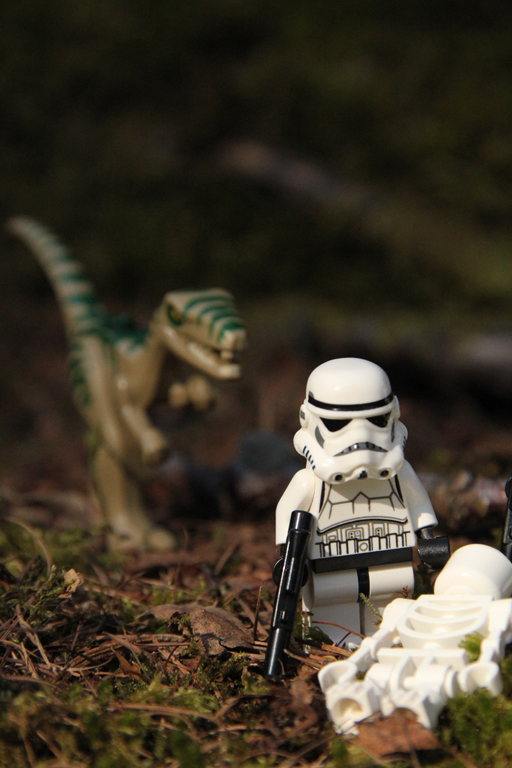 We’ve also had the lego out with the high school kids – it’s amazing how quickly a disinterested “too cool for all this nature stuff” teenager melts in the face of a 4cm high stormtrooper with an environmental message. 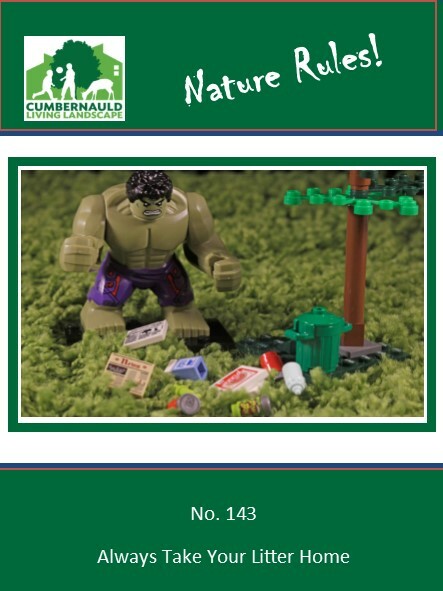 Don’t mess with the Hulk, take your litter home! It’s been a good few months for the volunteer group in Cumbernauld, we had to cancel in August due to the weather but we still managed to squeeze in a “thank you” BBQ to express our appreciation to the volunteers for all their hard work. 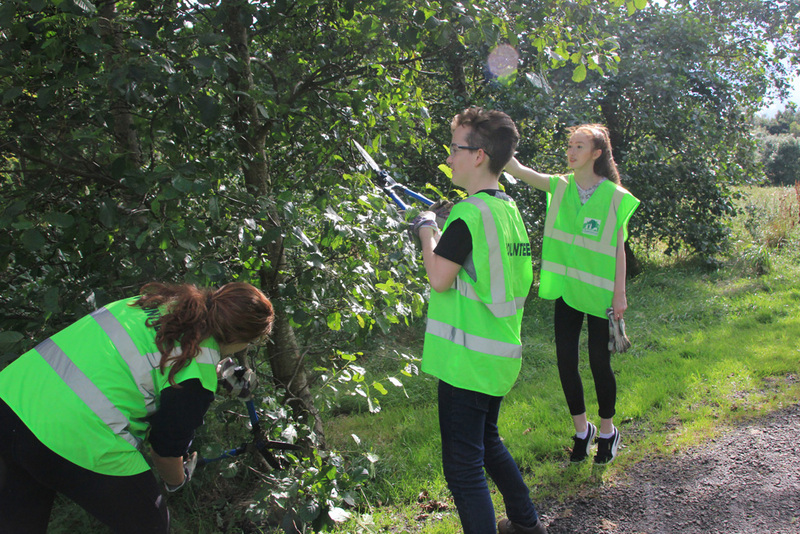 September’s volunteer day went really well with a bunch of cadets from Police Scotland providing extra numbers so we could really tackle overgrown vegetation and litter at St Maurice’s Pond. In fact we’ve been so successful at clearing up St Mo’s that a litter picking event organised by another group had to switch to a different location. Take that conservation rivals! The volunteers conduct their 432nd litter patrol of the morning, ever vigilant for other conservation groups – or rogue wombles – who might come and try to steal our discarded crisp packets and empty bottles of irn bru. “I think I see a womble! Quick, get it!” Always on our guard. 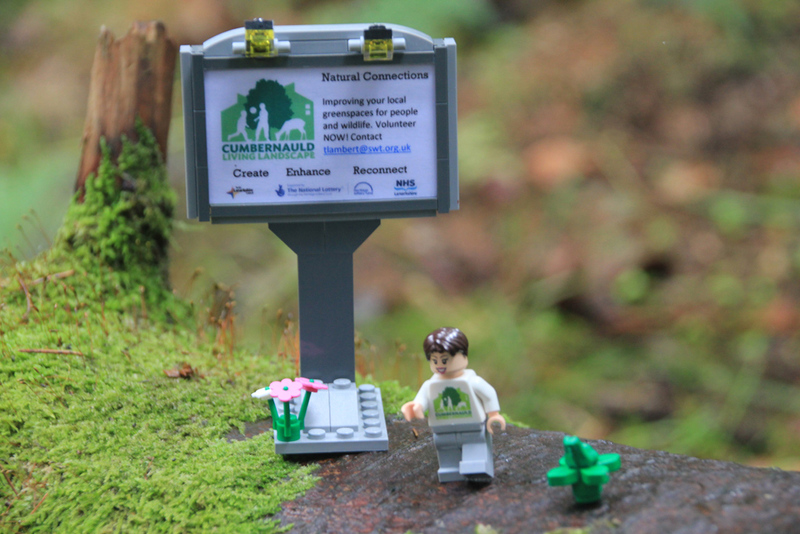 In an attempt to build bridges, Cumbernauld Living Landscape has had its usual slew of community events which has kept us all busy. One of the highlights was Carrbrain Galaday – where CLL saved the day by rushing in emergency tea making supplies when the caterers failed to show. It’s actions like this that really make your name in the community! I have to say it was also fairly amusing when the Gala Queen and her retinue turned up in all their finery to have a go at the sniffing the poo game… I’ve never got a camera when I need it. 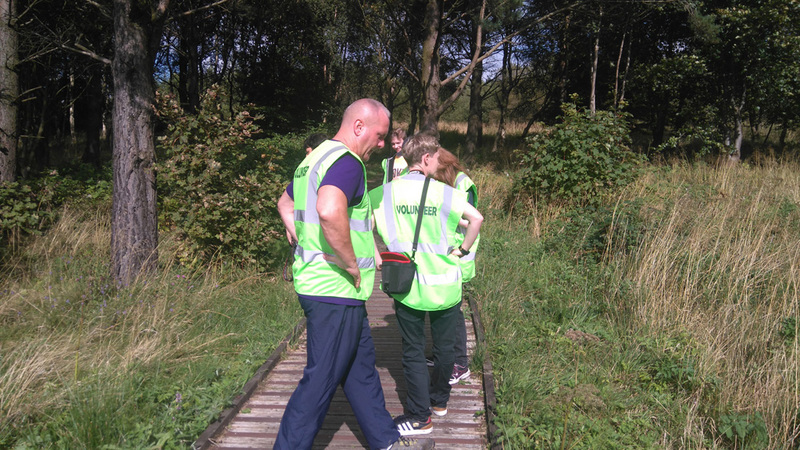 We’ve also had a couple of “Discover” guided walks and made our voices heard at several community forums. Cumbernauld has a thriving community sector with all sorts of groups doing fantastic work and it’s great to be able to get along to these meetings to find out what’s going on – much as we complain when they run on past 9pm! I was lucky enough to get the opportunity to go up to Kindrogan for a Field Studies Council course on Scottish Mammals which was totally awesome. 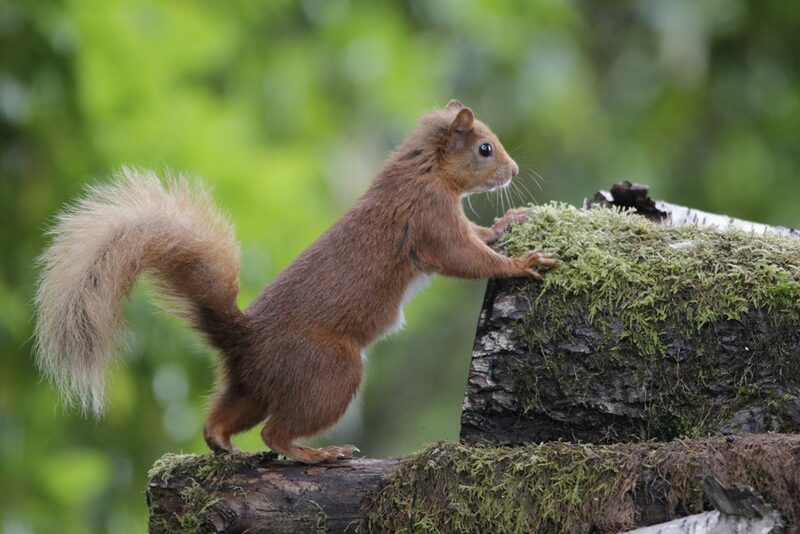 Four days of nothing but Red Squirrels, Pine Martens, Otters and Water Voles. Heaven! I learned loads about camera trapping techniques which is really going to help me out with my personal project – plus I got to watch Pine Martens from a hide every night! 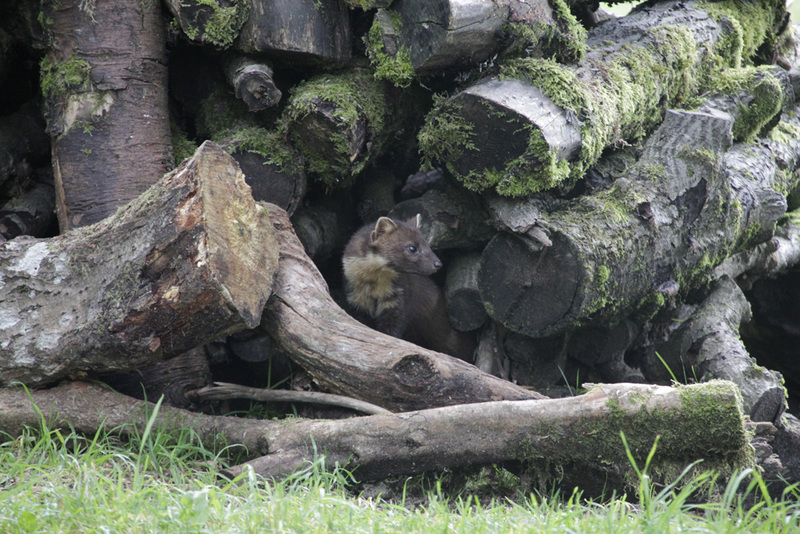 Every home should have a Pine Marten hide. Training wise it’s been a good couple of months, as well as the aforementioned Scottish Mammals course, I’ve also attended training on Exploring Nature with Disabilities, Path Grading, Safeguarding and Mental Health First Aid. The path grading one in particular was excellent, really opened my eyes to how you need to think about access and the minutiae of conditions underfoot if you’re going to advertise a walk to the public. We then had a lovely day in the office here in Cumbernauld where we went through all our risk assessments and procedures, making sure we were up to date and all working in the same, safe, way. Safeguarding and Mental Health First Aid was tough going with some very difficult subject matters to discuss but so important and definitely took away a lot of lessons. It must have went well as I was invited back to do another for staff who had missed it first time round. Either that or it was some sort of punishment for them? My last talking event was a presentation on the history of Pine Martens to the local historical society. A warm, darkened room just after lunchtime, me droning on about history… I was taking bets on how many people would fall asleep! It’s pretty sorry story really, we really have not been kind to Pine Martens over the centuries. I’ve had some good feedback, it’s great to talk about mental health as it always results in other people coming forward with their own stories and sharing their own experiences. One in three people in Scotland will suffer a mental health event at some point in their lives, it’s no longer an issue that should be left in the shadows. Along those lines I’ve been writing articles for the local paper and the SWT magazine, as well as visiting local mental health groups and hosting a drop in information session for Wild Ways Well in a local cafe. I was overwhelmed by the number of people who came to chat on the drop in day – I actually had a queue for a while! Wild ways to Wellbeing is in full swing with the second group, this time of teenagers from a local high school. I’ve got the support of TCV’s awesome Rebecca Strofton this time around which has been so important. It’s a very different experience from the previous group – as this is a pilot project we’re keen to get a range of different approaches. Working with teenagers in a school environment means that the sessions have to be much more structured, whilst still being in the outdoors and still giving the students some element of control over what they’re doing – we don’t want this to feel like just another class at school. 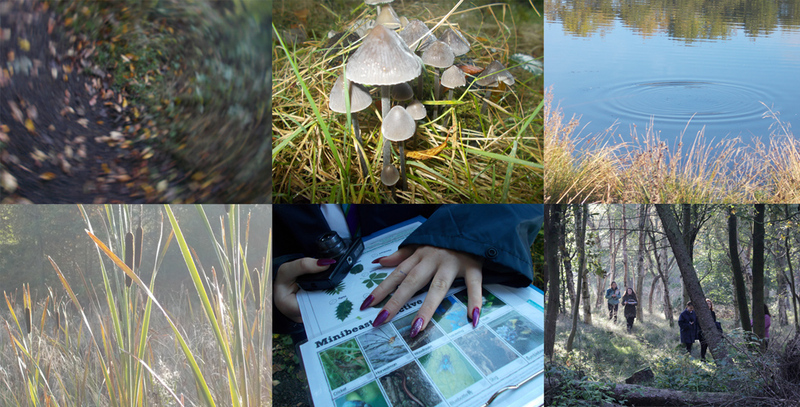 So far we’ve done some map making, photography, OPAL surveys, art and forest skills. It’s a difficult time to be a teenager right now – I certainly don’t know how I’d have coped with some of the stresses and pressures kids have to face today – so it’s more important than ever that mental wellbeing is emphasised right through school. The third group starts this week so fingers crossed the good weather holds! 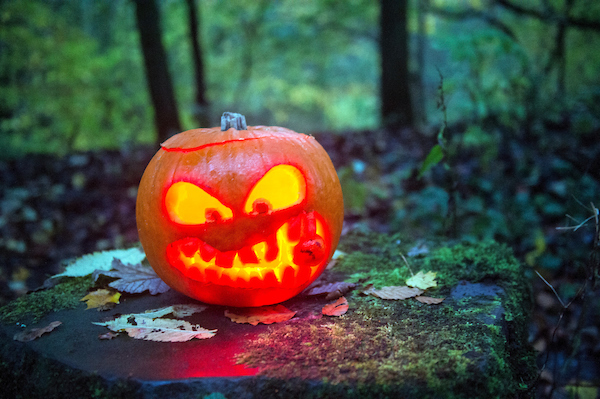 Finally for this update we had our HallowScream event in Cumbernauld Glen last weekend. 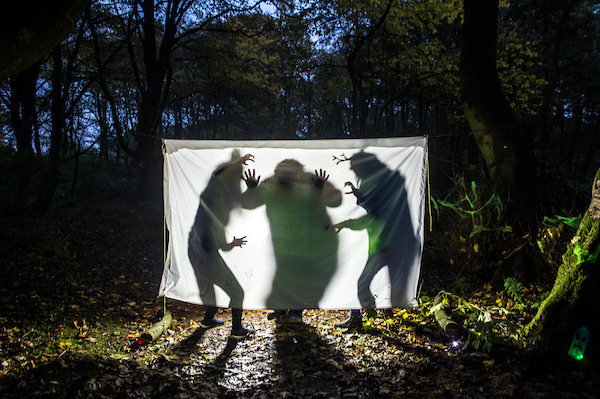 We dressed the Glen with spooky spiders, ghosts, vampires, witches and ghouls and then invited the public to come down in the dead of night to visit…. What could go wrong? 300 tickets were issued to the public and it certainly felt like most of them arrived on the night! I was running the moth station with the amazing assistance of TCV’s Lucy and Jenny who were the total stars of the show. We had a moth trap, a big white sheet, a powerful light and bunch of spooky props and I think we made the best of it! In the end the drizzly weather meant we only ever caught one moth – but it was the most examined moth in history. A little bit of scheduling difficulty at the start meant we had about 60 people turn up at once at our moth station which was a bit fraught but superstars Jenny and Lucy coped amazingly and kept everyone entertained with shadow photos and tales of spooky spiders – thanks guys!